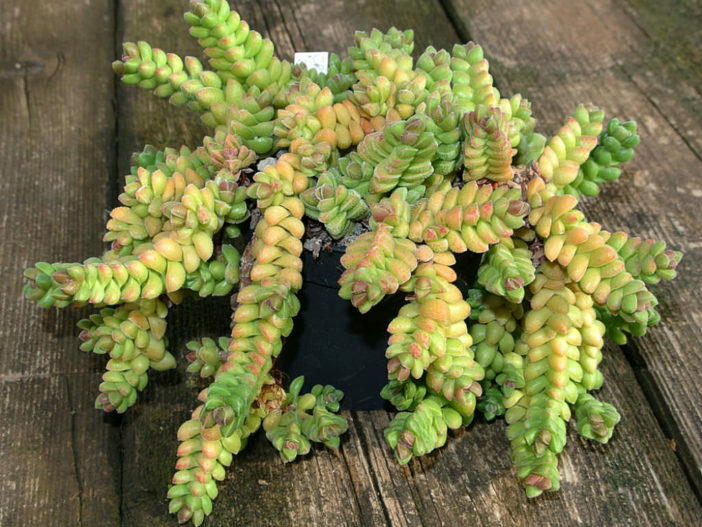 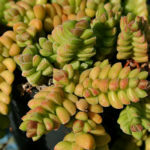 Crassula ‘Rosa Marina’ is an attractive perennial, succulent plant. 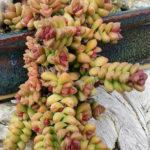 The leaves are closely appressed around the stem, forming clear 4-angled columns, new leaves at the apex are oblique, sometimes tinged deep red and thus even more colorful than the rest of the plant. 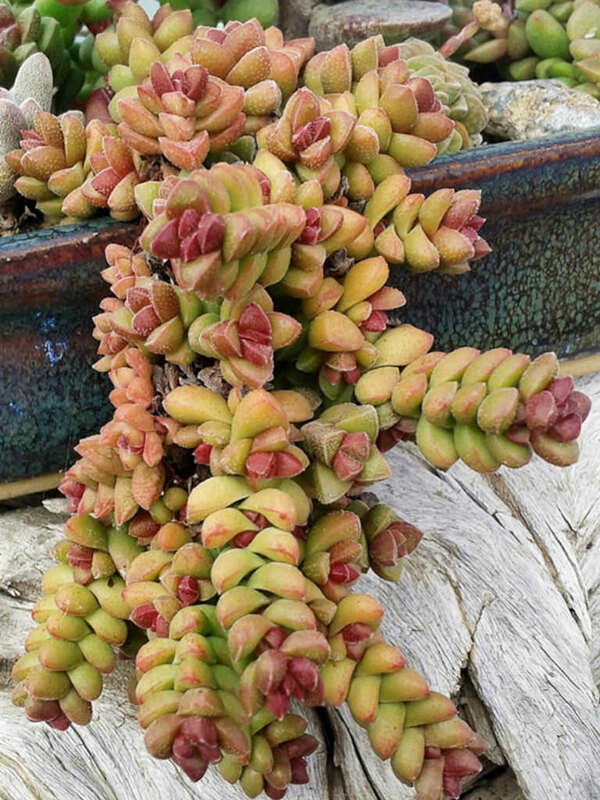 The stems are hardly visible as the plant is offsetting freely from the base. 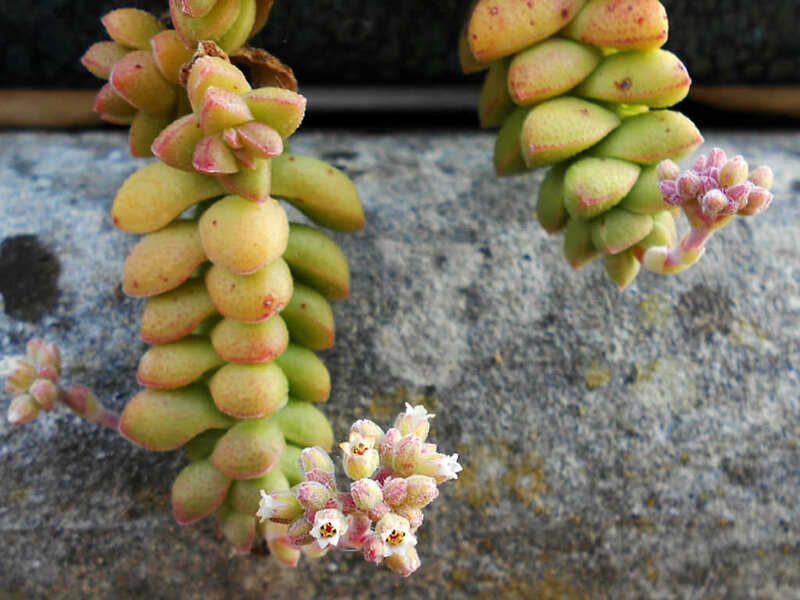 The flowers resemble those of Crassula elegans. 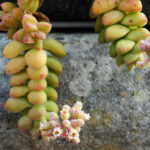 A hybrid by Corrado Coccorese created in 2010. 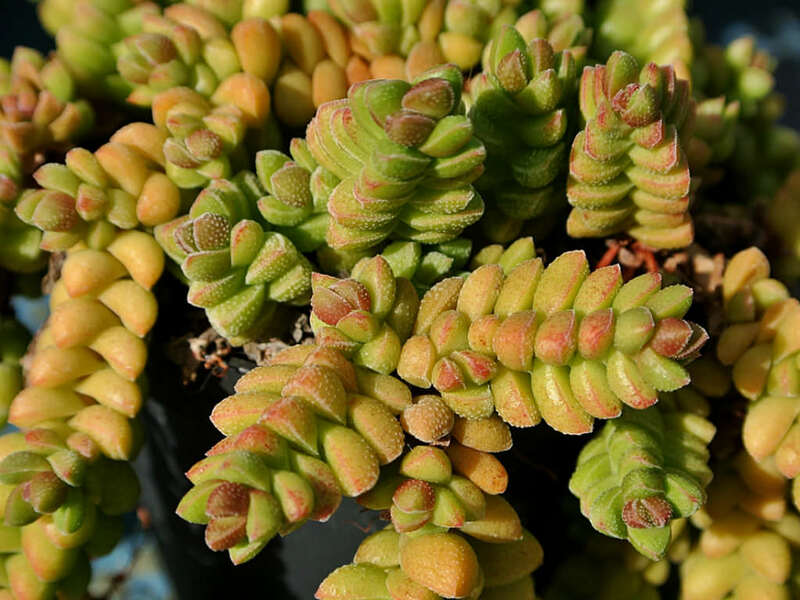 While one parent almost certainly is Crassula elegans, the other is less certain, possibly Crassula marchandii or Crassula columella.